Cookies and Pies and everything nice! UPDATE - CHANGES IN SCHEDULE: No classes on Feb 7. Days 4, 5 and 6 moved to Feb. 14, 21 and 28, respectively. 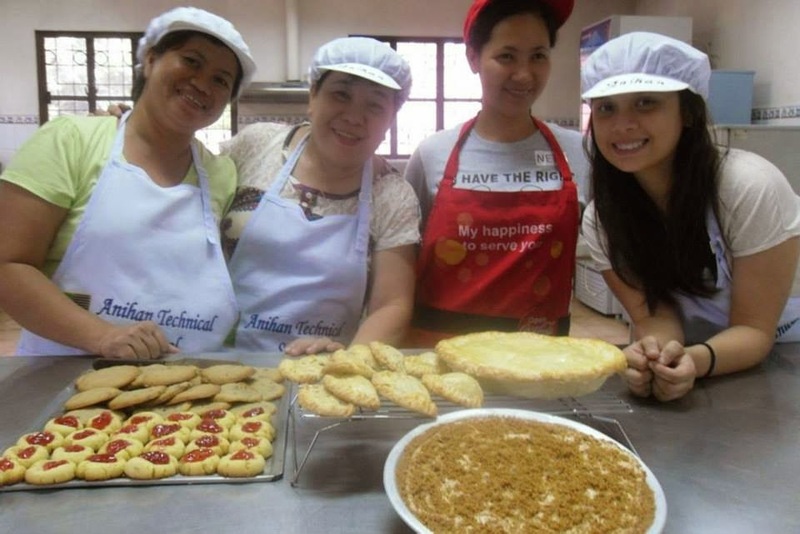 A short course for women in bread and pastry will be conducted by Anihan in early 2015, specifically on the following six Saturdays, 9:00 am - 3:00 pm: Jan 17, 24, 31, and Feb 7, 14, 21. Each day is a stand-alone program so participants are not required to attend all six Saturdays. 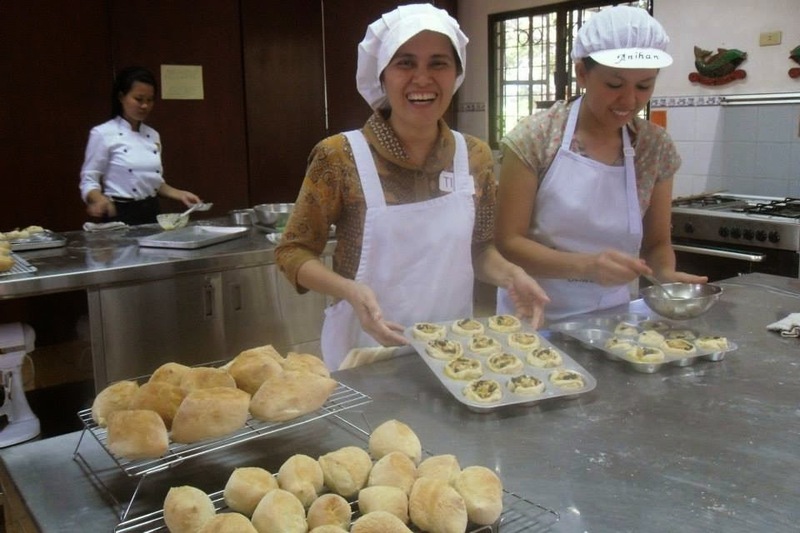 The course is designed however to impart a full basic training in bread and pastry production and so a complete attendance is highly recommended even if it may not be required. • Fee: P1,950.00/day or 11,700.00 for the 6-day series. *Special discounted rate of P11,400.00 if a participant enrolls for all six days. Fee already includes ingredients, hand-outs, certificate. • Confirmation of slot per day is only by full-payment enrollment. Payment for the first day (P1,950.00) should be made on or before January 10, 2015.
o Anihan reserves the right to cancel the scheduled program if the required minimum number of participants is not reached. See payment and conditions below. Pandesal, Cinnamon Rolls, Soft Rolls, Raisin Loaf Bread, and Pizza! 1. Participants may choose to attend all 6 days (see discounted rate above)* or just one or select days. • Check: Payee is ANIHAN TECHNICAL SCHOOL. Personally hand the check at the Anihan Accounting window seven (7) working days before the scheduled class. • If full payment for the 6 days, it must be made at least 3 days before the first class. • If per-day payment, each payment must be made at least 3 days before the scheduled Saturday (that is, on the preceding Wednesday, at the latest). 4. Cancellation on a participant’s part has to be made at least 3 days before the scheduled Saturday class (that is, cancellation on a Wednesday afternoon not beyond 5:00 p.m., at the latest). Cancelling participant will be charged 20% of the per-day fee to cover administrative services. • For late cancellations (that is, 1-2 days only before the Saturday class), 40% of the per-day fee will be charged to cover the school's purchases and services. • For no-cancellation and/or no-appearance on the scheduled class day, 70% of the per-day fee will be charged to cover the school's purchases, services and facilities. 5. The school reserves the right to cancel until the morning of the day before the scheduled class (Friday morning) if required due to the dynamic nature of the school's activities and affairs. • Participants will be informed by call or SMS on Friday morning if there will be a cancellation. 6. Refund of payment for cancelled classes may be claimed at the Accounting window on the following Monday. • Full refund if cancellation is on the part of the school. • If cancellation is on the part of the participant, please see no. 4 above. Just want to ask if do you have short course of baking aside from this coming jan and feb? Im planning po na umuwi na po jan s pinas at mg-aral ng baking and make it a business kaso po s march pa po ako makakauwi.sana po meron pa po kau short course after ng feb.
We'll be posting soon the details of the short course offering in bread and pastry this summer. Watch out for it! Does the school offers this short course to interested male participants.